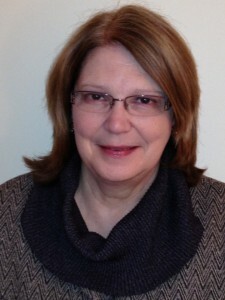 Irene Bowen, J.D., is President of ADA One, LLC, a consulting firm that provides ADA consulting, speaking, and compliance assessment services to public and private entities regarding titles II and III of the ADA, as well as assistance with section 504 of the Rehabilitation Act and other disability rights laws. Before she founded ADA One, Ms. Bowen’s career as a disability rights attorney spanned thirty years. She became known for her singular depth and breadth of knowledge and built a strong reputation as a knowledgeable, insightful, and visionary leader, attorney, and speaker. In August 2008 Ms. Bowen left the Department of Justice (DOJ), where she had been Deputy Chief of the Disability Rights Section, overseeing enforcement of the ADA. She was actively involved in the development of the ADA, the original ADA accessibility guidelines, and DOJ’s existing and proposed regulations. She established the Disability Unit in the Civil Rights Division, the Department’s program for certifying state and local accessibility laws and codes, the first ADA investigation procedures, and the use of mediation as a means of resolving litigation. Ms. Bowen has also been Deputy General Counsel of the U.S. Access Board, a disability rights advocate – co-founding the National Center for Law and Deafness as a law student – and a public interest attorney . Ms. Bowen holds a J.D. degree from the George Washington University School of Law and a B.A.in French and English from the University of Northern Iowa. Larry Goldberg, JD, CHC, joined ADA One, LLC, as a partner, in September 2013 after 37 years of government and non-profit service. He will be providing consulting services related to compliance with the ADA, as well as Federal health care program requirements, generally. Mr. Goldberg’s diverse background and knowledge of disability law, health care law, and compliance measures make him a natural fit for his new position. Mr. Goldberg was most recently the Principal Deputy Inspector General for the U.S. Department of Health and Human Services (HHS). There his innovation and expertise brought greater accountability for the provision of quality health care, as well as ensuring cost savings and the recovery of billions of health care dollars by the Federal government. He will now apply his innovative and collaborative approaches to advancing compliance with the Americans with Disabilities Act (ADA), returning to the area in which he began his legal career. While still in law school, Larry co-founded the National Center for Law and Deafness, where as Associate Legal Director he brought enforcement actions under section 504 of the Rehabilitation Act, representing deaf persons and others with disabilities seeking equal rights to education, employment, health care, and social services. He frequently wrote and lectured on the rights of persons with disabilities. He went on to the Civil Rights Division of the Department of Justice to enforce the rights of institutionalized individuals to adequate health services and treatment and litigated the first case brought to trial under the Civil Rights of Institutionalized Persons Act. 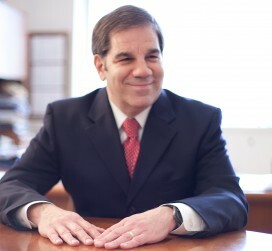 When he later joined the Office of Inspector General (OIG) at HHS, Mr. Goldberg first litigated health care fraud and abuse cases, and then held a variety of management positions in Counsel’s Office, where he pioneered a groundbreaking initiative to promote compliance by the nation’s health care providers with Federal health care program requirements, including the development of corporate integrity agreements (CIAs) and compliance program guidelines (CPGs) — a series of practical assistance tools that set the standard for the industry’s compliance efforts. For the last seven years of his OIG career, Larry served as the Principal Deputy Inspector General, the agency’s senior career official, where he managed the activities of an 1800-person organization and achieved unprecedented results in combating health care fraud and abuse and identifying vulnerabilities in the Medicare and Medicaid programs. Larry has worked not only in Federal and public interest roles, but also served for two years as an Assistant Attorney General in Maryland representing State health care agencies. Mr. Goldberg has been consistently acknowledged as an exceptional attorney and manager, which has led to many awards and recognitions, including most recently the 2012 Presidential Rank Award for Distinguished Service. Mr. Goldberg holds a J.D. degree from George Washington University, a B.A. from Northwestern University, and a Certification in Healthcare Compliance. With 30 years of experience in the federal government, first with the Access Board, then with the Department of Justice, Irene Bowen has developed an understanding of both the big picture and the details of the ADA, the ABA [Architectural Barriers Act], 504, and other federal access laws and standards by being actively involved in writing, interpreting, and enforcing them. From that experience she has developed a level of understanding and insights that are unmatched by other consultants. Her knowledge of which laws and standards apply to her client’s situations, the details of those laws and her creative approach to solutions makes her an invaluable asset on large, high profile, or complicated matters. As a trainer, Irene gets high marks from workshop participants because she’s organized with practical examples, knowledgeable of the logic and both sides of questions, and she brings exceptional credibility from 30 years in high level positions at DOJ and the Access Board. Ms. Bowen’s and Mr. Goldberg’s work in the disability area began in law school. They petitioned the Federal Communications Commission (FCC) in the mid 1970s to require that televised emergency warnings (which at the time were presented only orally) be accessible to people who were deaf or had hearing impairments – through a “crawl,” a visible interpreter, or a sign held up to the screen. The FCC responded in record time and passed a final regulation within six months. They later applied for — and received — a grant from the then-U.S. Department of Health, Education, and Welfare to start the National Center for Law and Deafness (NCLD). As law students, they both worked as a Student Directors at NCLD. Upon graduation, Ms. Bowen became a public interest attorney, and Mr. Goldberg served as the Associate Legal Director of the Center for seven years. The NCLD provided legal, advocacy, and educational services for twenty years.